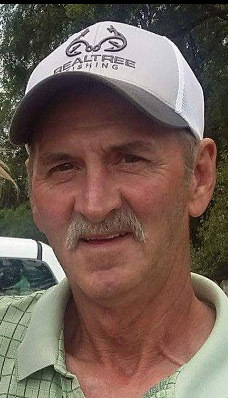 Larry E. Fields, 63 of West Terre Haute, passed away on Monday, January 28, 2019 at 12:17 PM in his residence. He was born in Terre Haute on October 7, 1955 to Gerald Fields and Patricia Dean Fields. Larry was a retired Laborer with International Laborers Local # 204. He enjoyed being around people and loved his grandkids, playing horseshoes with his friends, was an avid sports fan, and especially loved the Colts. Larry is survived by his wife Betty Miller Fields, his mother Patricia Fields, and four children; Chad Dwyer, Suzanne Dowdy and her husband, Justin, Clint Fields (Tammie Griffin), and Jason Fields and his wife, Dustie. He is also survived by his siblings; Gary Fields, Ron Fields, Helen Elkins, Deb Simmons (Hank), Rose Thomas (Glen), and Theresa Crews. He also leaves behind 11 grandchildren; Kelsey, Peyton, Abbey, Kendall, Olivia, Kennedy, Light, Ash, Caitlynn, Noah, and Ella, and several nieces and nephews. He was preceded in death by his father. Funeral services will be held at Fitzpatrick Funeral Home, 220 North 3rd St., West Terre Haute, IN on Saturday, February 2, 2019 at 1:00 PM, with Pastor Dennis Leek officiating. Burial will follow at Bethesda Memorial Park. Visitation is scheduled for Saturday from 11:00 AM – 1:00 PM at the funeral home.